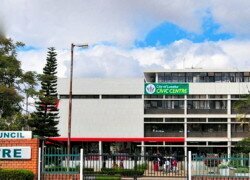 The Lusaka City Council (LCC) has warned all political parties to avoid indiscriminate posting of campaign material, especially on the road signs and other directional facilities, LCC Public Relations Manager Habeenzu Mulunda has said. LCC Public Relations Manager Habeenzu Mulunda said all political parties participating in the August general elections should take necessary measures to ensure that environmental protection and public safety was upheld in the course of posting or distributing electoral campaign materials. Mr. Mulunda advised all the political parties to abide by the guidelines of the Electoral Code of Conduct as they distributed or post electoral campaign materials. The electoral code of conduct states that political parties and candidates should take appropriate measures to ensure environmental protection and cleanliness in the course of posting or distributing electoral campaign materials. Meanwhile, the University of Zambia (UNZA) lecturer Alex Ngoma said there was need for the Lusaka City council and other municipality to come up with a regulation that would compel political parties to buy advertising space for their political campaign materials unlike the indiscriminate placing of posters on traffic road signs and writing of graffiti on wall fences. Dr Ngoma who is also a political analyst said political campaign period had characterised the indiscriminate placing of posters such as on road traffic signs, the writing of graffiti on wall fences and has suggested to the council to come up with regulation that would compel political parties to be paying advertisment and within a specified location. He said this initiative had worked in other African countries where political parties were given their own paid for advertising space within a specific time frame. “Political parties just like everyone else should buy advertising space of their own. District and city councils must come up with a regulation so that at the end of the campaign period political parties remove their posters so that the city remains tidy. The graffiti writings such as those which were done during the UNIP campaigns are still visible today, so my suggestion is for the council to work with the Electoral Commission of Zambia ( ECZ) to curtail this scourge as punitive measures could be applied that will instill adherence by political parties,” he said. The campaign period has characterised the placing of indiscriminate posters of political parties on other paid for advertisements and graffiti writings on wall fences while only a few paid for billboards could be seen such as on the Great East Road and Kabwe roundabout.